Right on the heels of the app switching names from Google On to Google Wifi, it looks like Google Wifi is now shipping! A few things to consider here, so keep reading. I just received my shipping email a bit earlier today and it looks as if my Google Wifi will be arriving tomorrow. 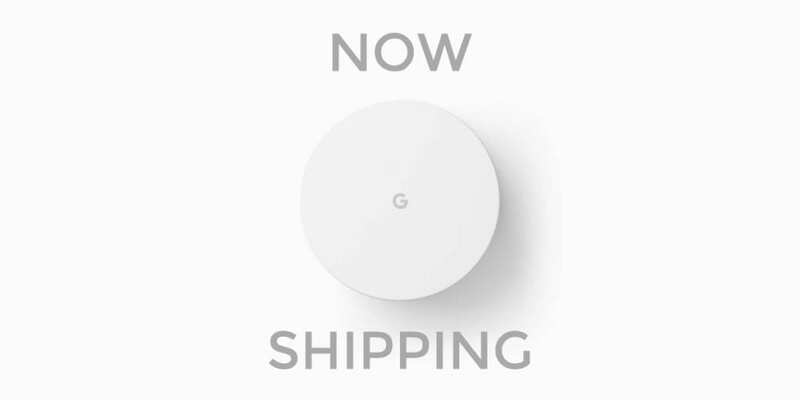 At this point, the website still shows a label of ‘shipping in 2-3 weeks’, so it is unclear how soon those of you will be receiving your Google Wifi if you’ve already ordered. If you are looking at ordering one soon, there could be a constant 2-3 week delay as they are ramping up inventory, but it is hard for me to believe that the 2-3 week wait will persist too much longer. That being said, a 2-3 week wait is clearly problematic during the holidays. Should you order this as a gift right now? That is very, very hard to say with any confidence. I ordered on day one and the 2-3 weeks is right on schedule, so until they lift that label I’d have to say order with caution if you are intending Google Wifi as a gift. Check back this week as we will be unboxing and doing the initial setup on camera for everyone to see. I’m expecting some pretty great things!